Responding to Freedom of Information Act (FOIA) and public records requests (PRR) is not a trival task. 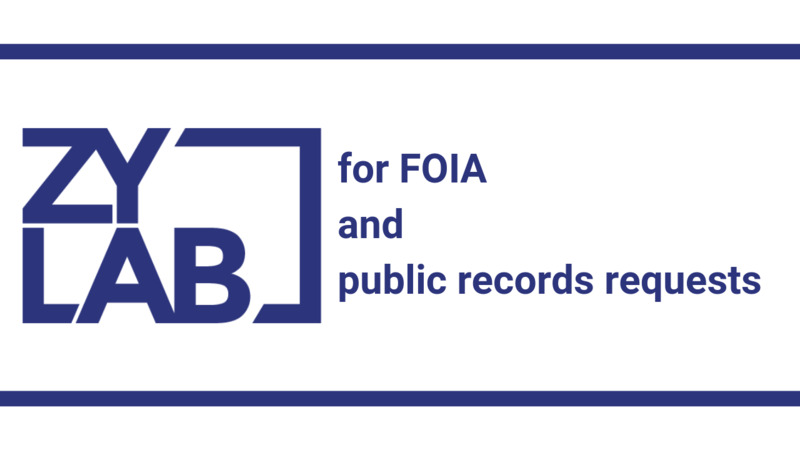 ZyLAB One has been developed to meet the specific requirements for FOIA and PRR. ZyLAB One limits the disruptive effect and costs of litigation, arbitration, regulatory investigations and information requests faced by government agencies. Get it out. Get it right. For more information, watch our on-demand webinar Get it out, get it right! Dealing with an ever increasing number of PRRs is straining state and local government agencies alike. For many agencies, only limited resources are available to handle PRRs. Having the right tooling in place to automate much of these tasks is critical in surviving the deluge of PRRs. ZyLAB One is that tool. With the rising number of FOIA requests, and their increasing complexity, agencies have to work smarter and faster. Without simplified workflows and the ability to easily collaborate and control data internally, agencies are at risk. ZyLAB One is an integrated PRR technology platform that fuels streamlined and automated processes, delivering fast, thorough, and reliable public records disclosures. During the Slobodan Milosevic trial, we found ZyLAB to be the ideal technical partner to implement our vision for bringing justice, managing millions of documents, and complying with the stringent rules of international law. Please accept my profound gratitude for the support ZyLAB has extended to the Special Court for Sierra Leone in offering ZyLAB for use in our The Hague office. Our staff greatly appreciates the use of this comprehensive program which will benefit the work of the Court. We have had a very productive relationship with ZyLAB for the last three years and expect it to continue into the future. At the end of an administration, turning over all email to NARA could take up to a year. With ZyLAB, the NSC can now just turn over the server to NARA. ZyLAB’s XML format is our standard archival format for e-mails. Many government agencies in the US and Europe rely on ZyLAB for criminal investigations and public record requests disclosures.